Should I buy stocks now: There's no way to know for sure. Nope, not even these guys. 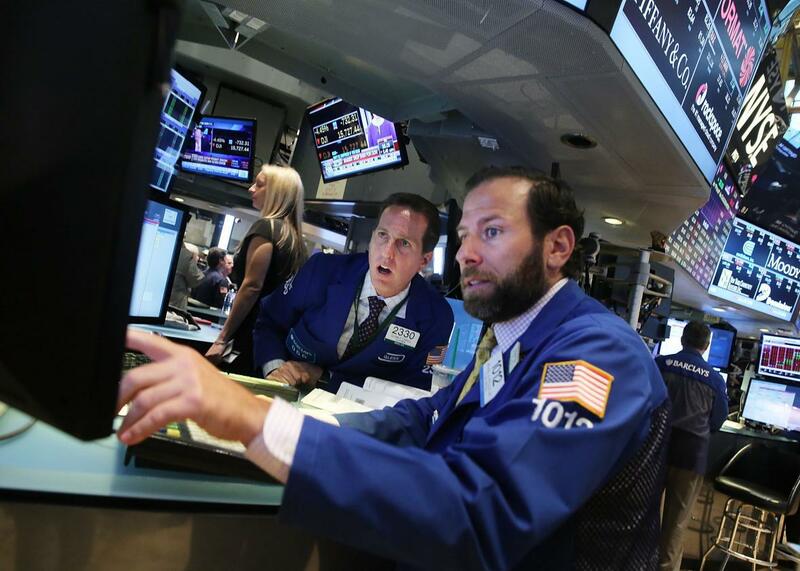 Stocks are down again Monday after getting hammered last week. Investors are afraid that China is stumbling, and could drag down a big chunk of the world’s economy with it. They’re worried about the Federal Reserve raising interest rates, which is typically bad for share prices, but also could deepen all the trouble we’re seeing in Asia by pushing up the value of the dollar (which would hurt profits for, say, Chinese companies that export TVs or T-shirts to America). There’s lots of uncertainty, lots of known unknowns. Which is why, if you happen to hear somebody claim that now is definitely a good time to buy up cheap shares in, say, Apple, you should ignore them. Likewise, if someone suggests it is absolutely urgent that you liquidate all your worldly possessions (or just your equities portfolio) and invest, in, like, canned goods, you can also safely move on with your day. Nobody really knows how to time the stock market. Don’t believe anybody who claims otherwise. Here’s an example of what we do know. As this chart from Bespoke Investment Group (via Bloomberg) shows, the S&P 500 has fallen 5 percent or more in a week on 28 other occasions since 1980. In the three months following those falls, stocks have risen about 70 percent of the time. So, one could maybe argue that bargain hunting right after a big weekly drop has typically paid off. But, it doesn’t always. In big downturns like 1987 and 2008, stocks kept falling after large weekly drops, sometimes as much as about 20 percent further. You can also see that something similar happened in 2002, when the world wasn’t evidently coming apart at the seams. I personally feel like Monday probably isn’t leading into Great Recession Part II, but that’s just it—figuring out if right now is the moment to jump in and buy or to get the heck out of dodge is guesswork (unless you have a really specific schedule for rebalancing your portfolio, but that’s sort of a different issue). Now here’s the one point on investing that today should illustrate for you: If you think you’re going to need your money in the near future, don’t keep it in stocks. Simple as that. The phrase “invest for the long term” is a cliche, but for a good reason. You need to be able to ride out dips like we’re seeing today, possibly for quite a while. And it’s a lot harder to do that if you need to cash out your portfolio to put a down payment on a house or pay your kid’s college tuition. Likewise, trying to make a quick buck on what looks like a temporary dip can backfire pretty badly if you need that money to pay a mortgage in three months. In other words, invest so you never have to find yourself trying to figure out whether the Federal Reserve is about to deal another blow to China’s troubled economy, because who the heck knows?